The existing house basically stays exactly the same… untouched. Which is fantastic as far as construction goes. The goal is to build the addition, button it all up and then break into the existing home through the original door and window locations. So onto the new!! Our old deck (the astroturf one) will be removed and will be taken over with a new entry/hallway that will open up directly into the library. 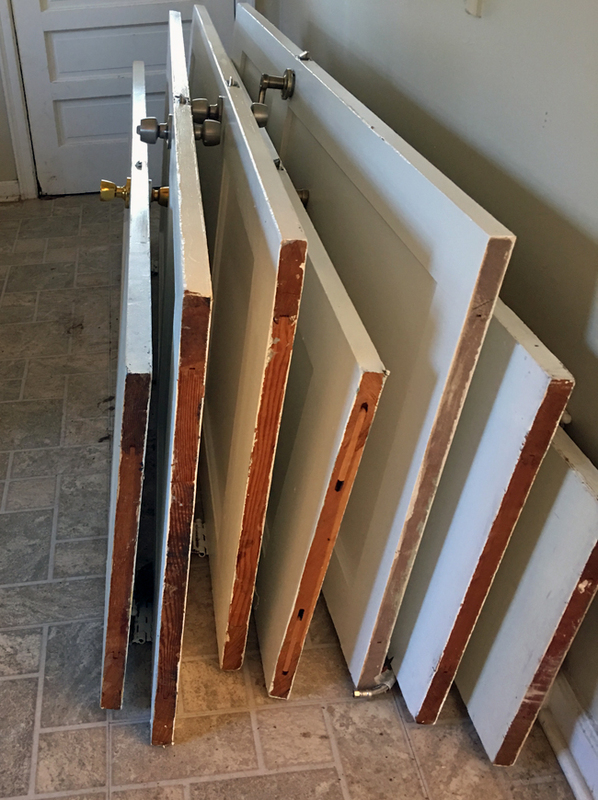 We will tuck a mudroom in just off of the existing kitchen and add a laundry closet hidden by a massive barn door on the opposite side of the hall… I am already scheming about building the door and adding some major hardware. Eek. The hall leads to our Master Suite including a bedroom with vaulted ceilings, a second bathroom and a real grown up closet. I am actually not sure what I will put in the closet as my closet currently has 24″ of hanging space for my clothes. Two Feet people. Ha! And speaking of closets, our Architect was able to sneak in a walk in closet into her room using an existing window as the opening to create the new door. Chloe has not been on board, like at all… but as soon as I said you get your own closet (something she has never had) she finally got excited. I am thrilled with the design of the addition as I wanted to ensure that we didn’t just slap a big box off the back of our home. And as we are located on a three sided corner lot? End lot? not sure how to word that… we are basically in a fish bowl. By wrapping the home around the deck we are able to achieve some privacy which has been lacking over the past 12 years. So kudos to our Architect Tom from Axis Architecture for coming up with that genius idea. I also love that I haven’t seen anything like that around our neighborhood, aka renovationpalooza. 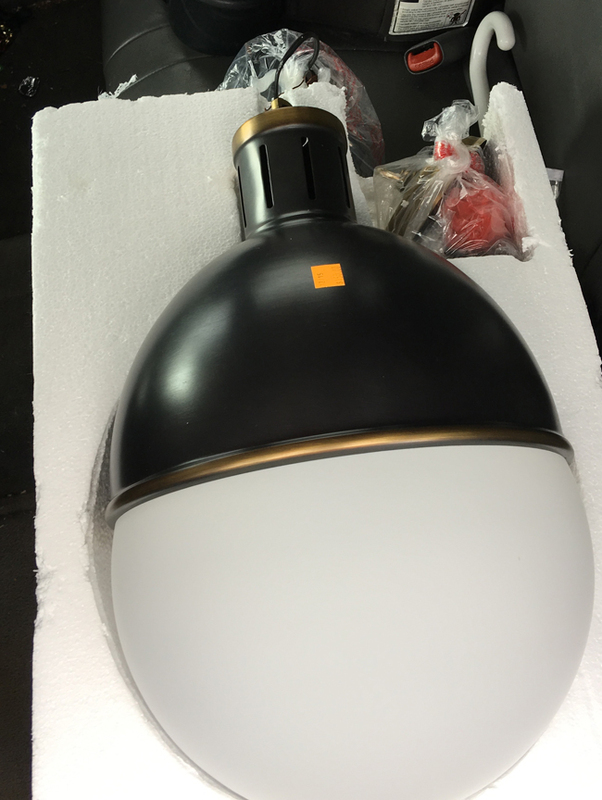 Lighting // No plans on what is going where at the moment, but I have come across a few deals that were too good to pass up. So at least I will have some great fixtures to choose from once design plans get narrowed down a bit more. 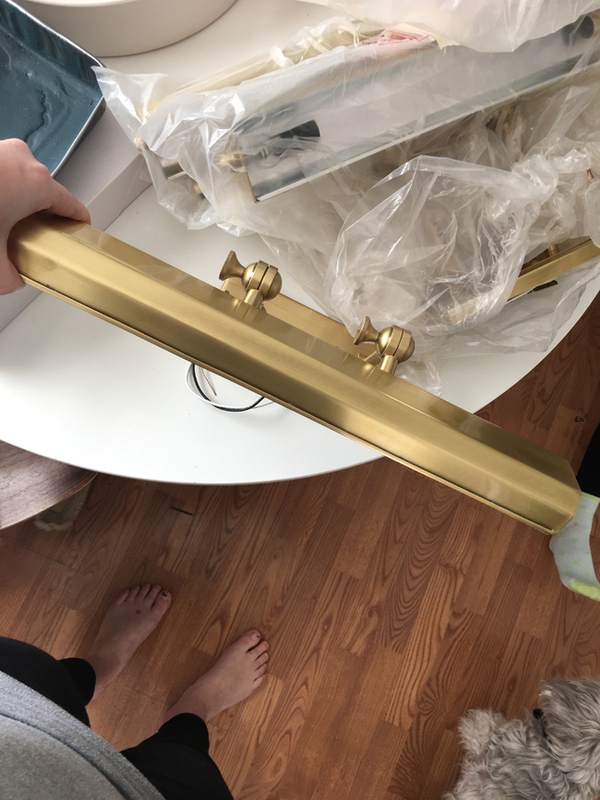 I have four of these picture lights that I picked up at the local Habitat for Humanity ReStore. I think I snagged them for like $25 a piece. Total steal. This pendant could not be left behind at $65. 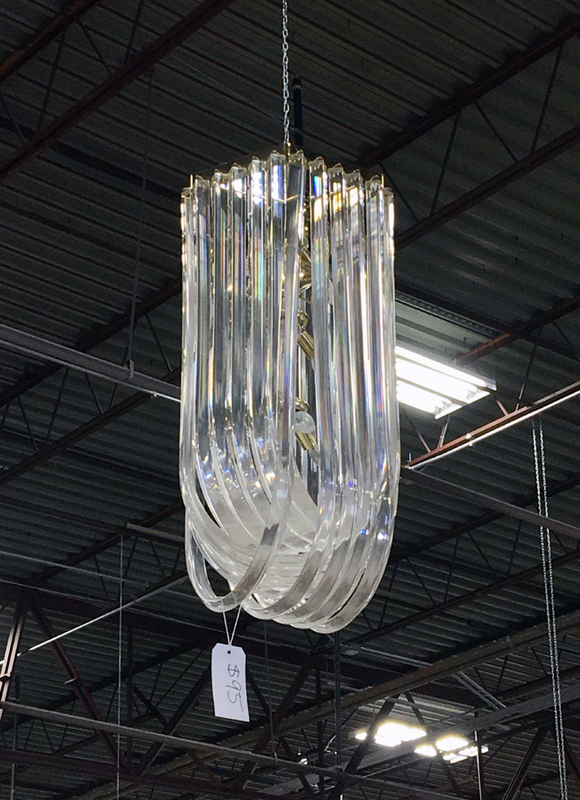 And this lucite beauty was also a steal at $95… but I think I ended up getting a discount on top of that. 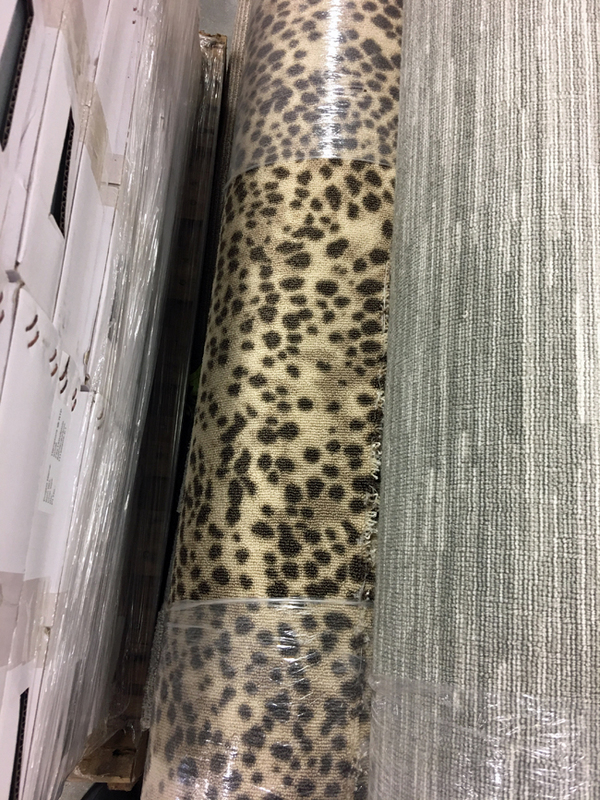 Carpet // and last but not least is the 15′ of Leopard carpet that I scored for $35. Chloe actually picked this one out as it will eventually be the carpeting in her new closet. I may even have enough leftover to carpet our closet as well. I have tried and tried to find the original source of this to no avail. It was a remnant, hence the cost, but I will continue my hunt for those who want to know. So I do promise to keep you posted along the way. And if you have any great contractor recommendations in the Atlanta area send them my way! Ok, so clearly I need to check out my Habitat ReStore. I had no idea you could score such great finds there. Those art lights are gorgeous! 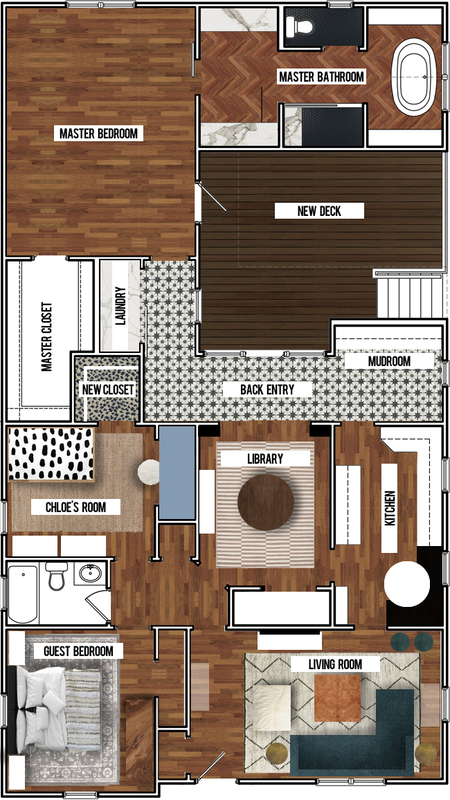 I’m so thrilled for you I love this floorplan and the creative use of space it’s so good. Gorgeous!! I’ve loved your blog for a long time, and your style even more so. Can’t wait to see your renovation unfold. Loving all the restore finds! We recently got a fantastic bathroom cabinet there for $25!! Just. So. good! Xo! That pendant is stunning! I am seriously going to have to check out Habitat ReStore. I’ve donated a number of times but have never gone and looked around. Thanks for the tip! So excited to see the finished product! SO pumped for you and can’t wait to see as things keep progressing!